Francis Chan urges evangelicals to consider living “crazy” for God in his #1 New York Times bestseller, Crazy Love. In this mini abridgment, Chan challenges readers to take the Bible seriously and encounter God’s love. The book offers real-life accounts of believers who have given everything—time, money, health, even their lives—in obedience of God’s call. 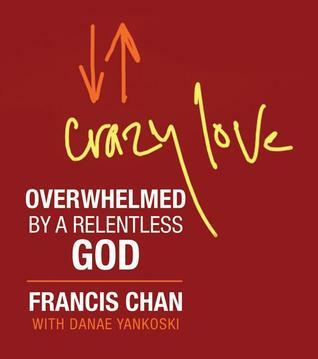 Readers will fin Francis Chan urges evangelicals to consider living “crazy” for God in his #1 New York Times bestseller, Crazy Love. In this mini abridgment, Chan challenges readers to take the Bible seriously and encounter God’s love. The book offers real-life accounts of believers who have given everything—time, money, health, even their lives—in obedience of God’s call. Readers will find valuable take-home lessons in this powerful and inspiring mini book.